What if I told you I could give you a list of things to do that would ensure your children walked with Christ? The Bible says, “I have no greater joy than to hear that my children are walking In the truth” (3 John 1:4). What great joy our hearts would feel if we could be guaranteed our children would love the Lord and walk in His ways! Don’t I wish it were that easy? 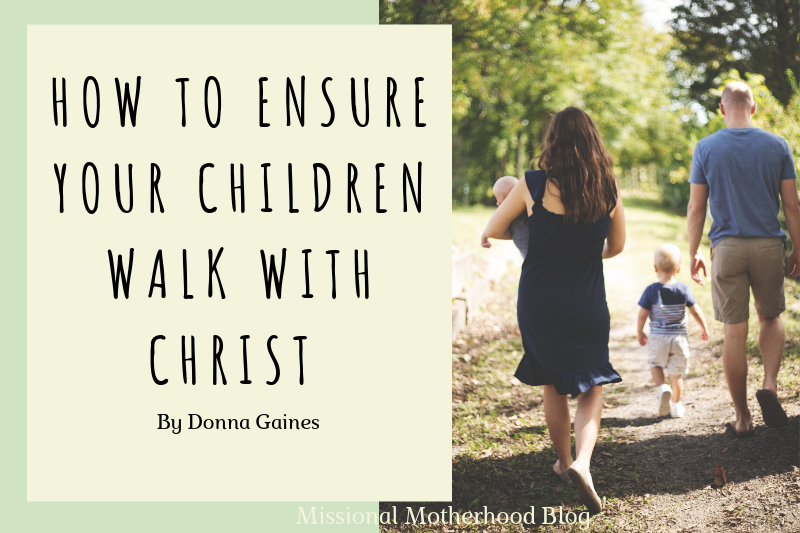 Just give me a checklist and I can ensure that my child will walk with Christ. There is not a Christian mother who has not at some time wished for such a list. We would jump through almost any hoop to make this a reality. LifeWay Christian Research did a study in 2016 of 2,000 Protestant and nondenominational parents. The parents gave observations of a total of 3,472 adult children. This survey was to determine the top practices of parents whose children were walking with Christ as adults and were still involved in church. The parents were questioned on 40 factors. I was stunned and just a little excited when I read the top 10 items on the list. By the grace of God we had done those things. Steve and I did them without the advantage of research to back them up. And yet, we had the greatest reason and instruction of all — the Word of God. Our devotion to Christ should be the most obvious thing about us. Christ is to be preeminent. If He is, then we will seek to obey His Word. We will pray and seek His guidance and turn to the Bible for principles to live by and to instruct our children. The Holy Spirit granted us wisdom as we parented our children. We certainly did NOT do everything right. There were plenty of times we had to apologize to our children after handling something in a wrong way. But by the grace of God, we also did some things right. Child regularly read the Bible while growing up. Child regularly spent time in prayer while growing up. Child regularly served in church while growing up. Child primarily listened to Christian music. Child participated in church mission trips/projects. Child’s best friend was an influence to follow Christ while growing up. Child connected with several adults at church who intentionally invested in them. Parents typically asked forgiveness when they messed up. Parents pointed out Biblical principles in everyday life. The list is fairly self-explanatory. But I would like to make some observations. Parents cannot pass on what we don’t possess. We must be doing these things if we want our children to value them. Help your children develop a daily plan for reading the Bible and praying. Also, find places of service for your children. Children’s worship or Sunday School is a great place to start. VBS and other church camps give older students an opportunity to serve. 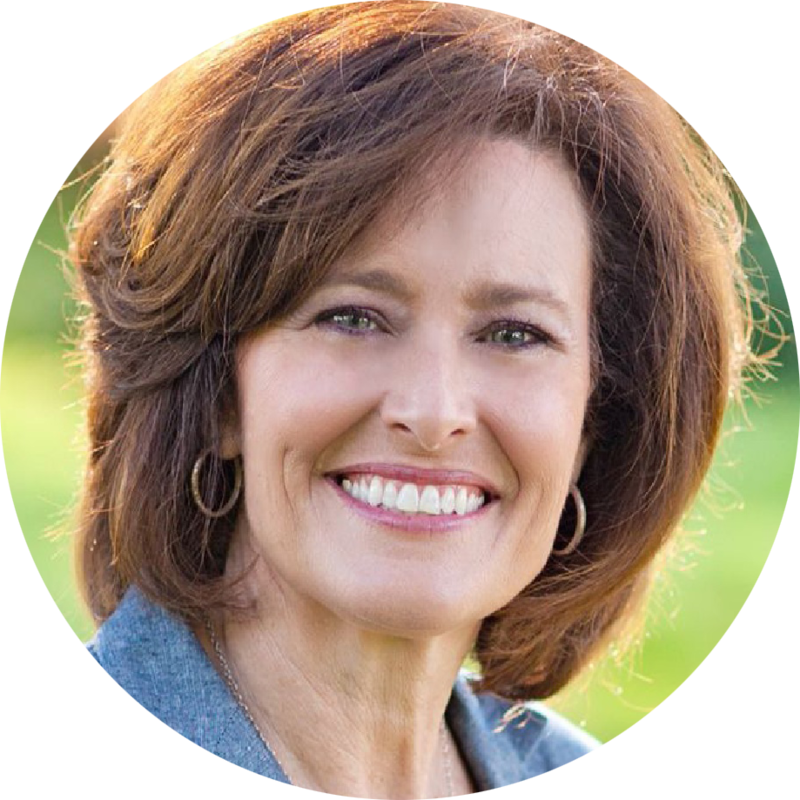 Help your children connect with adults who will reinforce the values you are teaching at home. I taught in our youth department when our children were teens. I asked for our girls to be in a different class from the one I taught for that purpose. I did disciple my girls and their closest friends when they were in high school. This small group opportunity enabled me to have influence on our daughters and their friends. I volunteered to drive for events, took them to Christian concerts and conferences, and kept an open door policy at our home. It may cost money to host your children and their friends, but I encourage you to see it as an investment that will pay rich rewards in the future. We only allowed Christian music in our home in the morning. We wanted our children to leave for school with Christ honoring music on their minds. We all know how the last song you hear before leaving tends to be the song you sing the rest of the day. Our children have told us that participating in mission trips profoundly impacted their lives and reinforced their call to the Great Commission. Seeing other people, especially in third world countries, serving Christ with great joy brought real clarity and conviction to their own lives and walk with Christ. Obviously, our children have a free will and can choose to rebel and run from the Lord. But we are to do all we can to prepare them for the purpose for which God created them. As parents, we have the greatest impact on our children. Passion for Christ is caught more than it is taught. Are you modeling commitment to Christ and His Word? Please hear me when I say we were not perfect parents. But we have the perfect Heavenly Father Who has given us His Word for training our children in righteousness. By the grace of God, our children are all faithfully walking with Christ as adults. I encourage you to take this list and implement it in your home. You will simply be obeying God’s Word. Trust Him. He is faithful! I believe Donna and Steve Gaines have truly “practiced what they preach”. Their lives and the life of the only one of the children I know reflect their love for God and the many ways they serve Him daily. There is nothing better for a parent to know than their children and, in my case, grandchildren know Christ as their personal Savior and strive to live for Him.